I went to my favorite hifi-klubben store to get a demo of the new B&W XT8 speakers. I was listening back and forth to CD’s I already know very well how they’re supposed to sound like. Great listening session, awesome speakers! I was asked if I have heard Ray LaMontagne which I had not up until then. 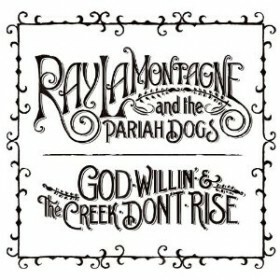 The disc “Ray LaMontagne And The Pariah Dogs – God Willin’ & The Creek Don’t Rise” (Phew, long disc title…) was loaded into the CD player and the sales guy cranked the volume. Ray LaMontagne… His voice is amazing, the songs are great and the quality of the recordings is stunning! For the next 20 minutes or so I forgot that I was there to analyze and test the actual speakers but instead I was really just enjoying the absolutely awesome music, just like it is intended to be. I paste the spotify link below but you should really consider getting the CD, it’s really worth it for the high fidelity sound quality. The speakers was also great since they can play music in a way that makes you forget all about the speakers and only hear the music.